BERWYN, Ill. (WLS) -- Heritage Middle School and Emerson Elementary School in Berwyn were placed on lockdown shortly before dismissal Thursday, but students have since been released. 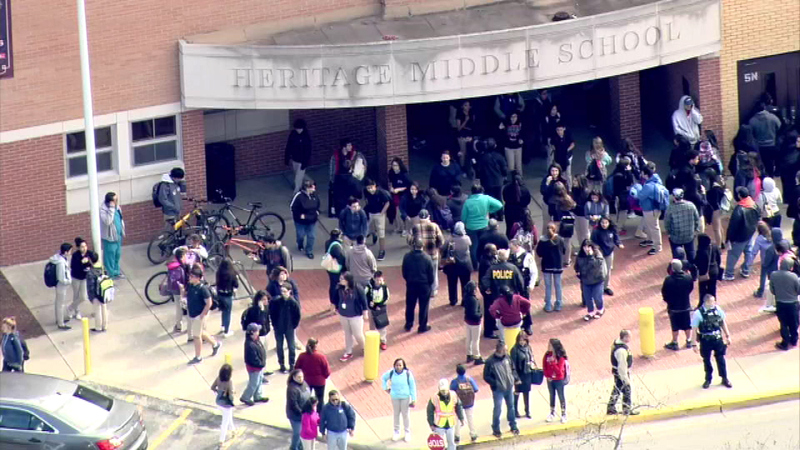 School officials say a student reported seeing a weapon inside Heritage Middle School. Police were called and a search turned up no weapon. Officials say both schools were placed on lockdown because they are connected.